Krist Novoselic played bass alongside Dave Grohl and Kurt Cobain in one of the most important bands of the last 30 years..... Nirvana. 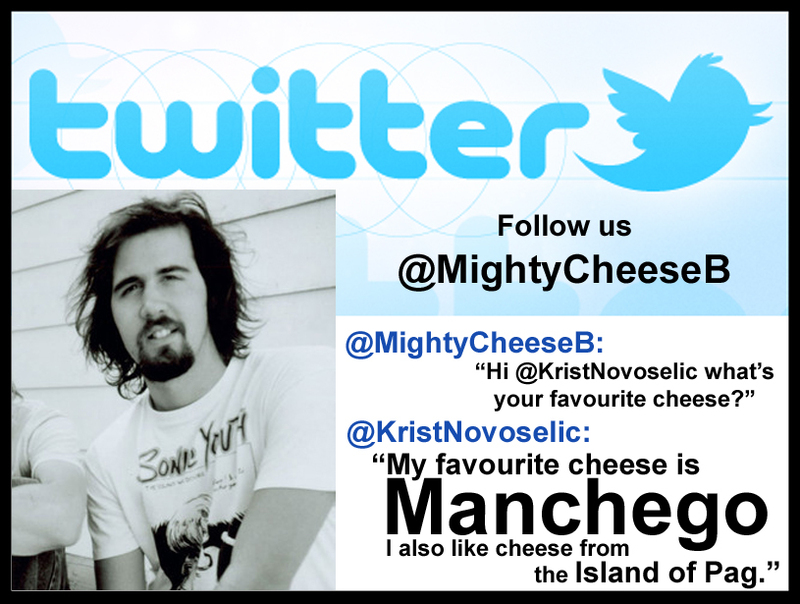 Most Rock & Roll hero's have a vice of some kind, be it drugs, booze or whatever...... seems that with Krist its a nice piece of Manchego! Here at the Mighty Cheeseboard we heartily agree - one of our all time favourite cheeses! (I can feel a Manchego Cheese of the Day feature coming up soon!). Krist also likes cheese from the Island of Pag. Here is a clip of Nirvana (featuring Krist) in action http://youtu.be/x6XBlkvTmv8 - Enjoy!